Retail Segment – It is engaged in the business of trading in kids garments in the retail segment by retailing of brand “Gini & Jony”. With the increase in brand awareness in the customers there is demand in the retail sale of branded clothes under different brands. The company has entered into master franchise agreement dated March 01, 2017 with Gini &Jony Limited for operating in the state of Gujarat. Currently, it operates and manages four retail stores exclusively for kids apparel brand “Gini & Jony” across the state of Gujarat. 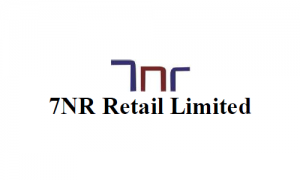 Wholesale Segment – 7NR Retail is into wholesale segment due to its cost-effectiveness against future inflation. It is engaged into wholesale trade of suiting and shirting, other textile products, trading in the kids garments which includes all types of uniforms and other fabrics on wholesale basis. The company is also planning to widen its presence in the whole sale market by including varied product range. 7NR Retail IPO allotment status is now available on Cameo Corporate Services’ website. Click on this link to get allotment status. 1lot here 4000 shares right……. PLEASE GIVE INFORMATION ABOUT HOW TO DOWNLOAD THIS IPO APPLICATION FORM?? ?